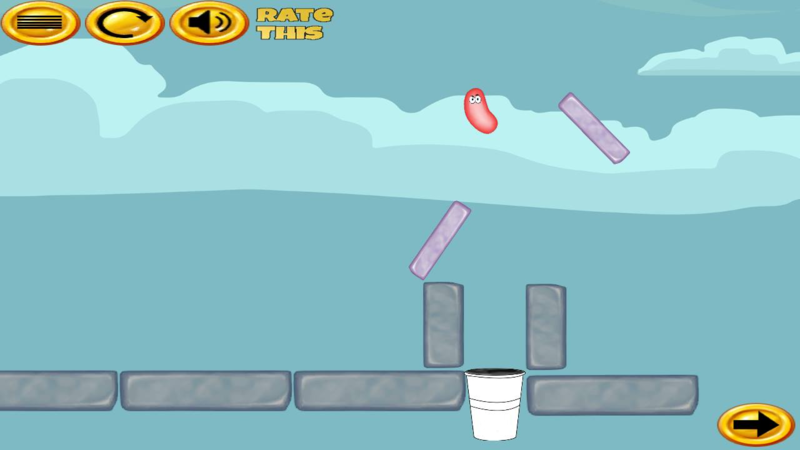 Flick the bean is a physics based puzzle game where players shoot to flick the bean into a cup. Every level is designed to present a unique and progressively challenging experience. Strength of flick, angle of flick, and level materials present several opportunities to flick in vain. Level traps include bouncy platforms, ice blocks, and glue traps. Can you flick the bean into the cup on every level? Enter for your chance to win a code that unlocks additional levels and removes adds from our Android game Flick the Bean!